A new strain of vampire is out of control as the mutants start feeding on humans and vampires. 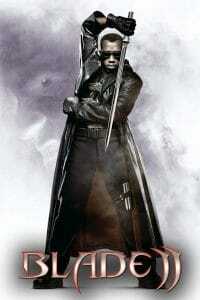 Blade is joined by a special team of vampires to infiltrate the mutant’s leader and squash the new breed for good. Following the successful entry of the initial Blade movie, Blade 2 had a lot to live up to with. Luckily for audiences, Guillermo del Toro was at the helm of the project and he did not have a letdown. The action in this sequel is way better, predominately kung-fu with less evaporation of vampires. Although the story is not as strong as the first movie, the plot incorporated the “keep it simple stupid” motto as its method, which really payed off. Blade’s (Wesley Snipes) team is a strong mix of characters played by heavy hitters, Norman Reedus, Donnie Yen, Ron Perlman and again, the great Kris Kristofferson. 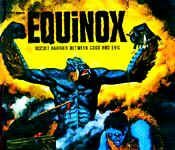 The sequel has got more gore, more action and more sinister villains as compared to its predecessor. Blade 2 hits on lots of film genres, which makes the movie a unique watch for any film viewer.